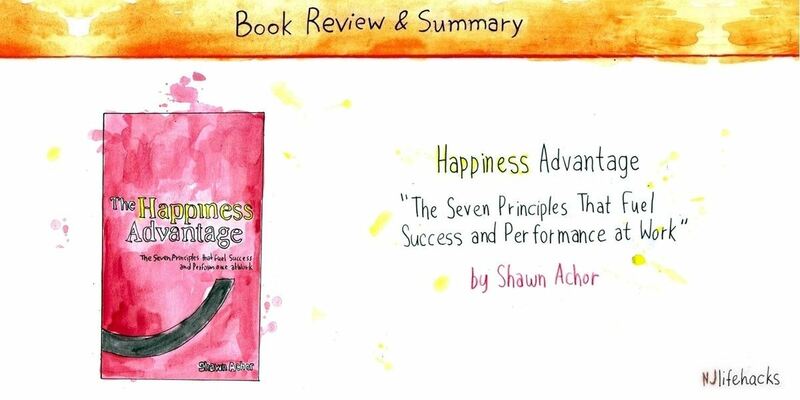 The Happiness Advantage by Shawn Achor is one of my favorite Positive Psychology books. Published in 2010, the premise of the book is simple: Happiness fuels success, not the other way around. Chasing after success in the hopes of becoming happy once we’ve “made it” doesn’t work. Instead, we need to create happiness now and capitalize on its many benefits to become more successful. After proving this basic premise, the book goes on to show us strategies for creating happiness, thereby increasing our chances of success. Who is The Happiness Advantage for? “If you work hard, you will become successful, and once you become successful, then you’ll be happy. This pattern of belief explains what most often motivates us in life. We think: If I just get that raise, or hit that next sales target, I’ll be happy. If I can just get that next good grade, I’ll be happy. If I lose that five pounds, I’ll be happy. And so on. Success first, happiness second. Once I’ve got that out of the way… then I can be happy. The only problem? This formula is backwards. Shawn Achor reveals that decades of research have proven the exact opposite: Happiness leads to success much more than success leads to happiness. You see, happiness and other positive mind-states turn out to be incredible performance-boosters, making us smarter, more motivated, and thus, more successful. By optimizing our mind and body’s functioning, feeling good gives us the competitive edge Achor calls the Happiness Advantage. This makes delaying happiness one of the dumbest things we can do. Not only do we accept feeling miserable now, we actually limit the chances of becoming successful—the very thing that’s supposed to help us become happy. Ironic, isn’t it? We sacrifice happiness for success, only to lower our brain’s success rates. The message is clear: Want happiness and success? Prioritize happiness now, then use its performance-enhancing effects to become more successful. That’s the Happiness Advantage doing its magic. Achor shares tons of research showing that happy workers are more productive (and earn more money!) than their less happy peers. One study, for example, measured employees’ initial happiness levels and then followed their job performance over the next eighteen months. Lo and behold, those who were happier at the beginning ended up receiving higher pay and better evaluations later on. Another study found that the happiness levels during college predicted participants’ income level nineteen years later, regardless of their initial level of wealth. One reason happy workers do so well is because happiness improves their physical, mental, and emotional health (see upcoming points). Research shows that unhappy employees take more sick days, missing an extra fifteen days a year on average. So, you measure people’s happiness levels and then infect them with the cold virus. Turns out happy individuals fight off the virus better than their less happy peers and experience fewer symptoms, such as sneezing or coughing. The happier you are, the stronger your immune system. And that’s just one example of happiness boosting people’s health. Another famous study followed Catholic nuns from the age of twenty-two until their death. The higher the happiness level at twenty-two, the longer the nuns tended to live. By age eighty-five, 90% of the happiest quartile of nuns were still alive, opposed to 34% of the least happy quartile. On average, there was a seven-year difference between the happiest and least happy nuns! Further studies show that happiness predicts lower blood pressure and heart rate, combats stress, boosts immune functioning, and protects from all sorts of aches and pains. A happy life is a healthy life. The mere act of telling kids to think of something that makes them happy—thereby priming them into a state of happiness—is enough to elicit the Happiness Advantage and create a significant improvement in performance. Similar studies came to the same conclusion. For example, students told to think about the happiest day of their lives outperformed their peers. And people who expressed more positive feelings during a business deal negotiated more successfully than those who were more neutral or negative. The happier you are, the higher your performance levels rise. Feeling bad, on the other hand, is a surefire way to put yourself at a massive disadvantage. “In one experiment, subjects were asked to make a difficult, time-pressured speech that they were told would be videotaped and evaluated by their peers. As you might imagine, this induced considerable anxiety and measurable increases in hear rate and blood pressure … The researchers then randomly assigned the participants to view one of four different videos: Two induced feelings of joy and contentment, one was neutral, and the fourth was sad. In addition to all the benefits we’ve talked about so far, happiness also provides an antidote to stress, what psychologists call the undoing effect—happiness can “undo” the negative aftereffects of stress, anxiety, or negativity in general. As the study quoted above explains, people who were primed to feel happy recovered faster from the negative effects of stress and anxiety. Their heart rates often quelled within a few seconds, while the hearts of the neutral or negativity primed participants took up to a minute to calm down. Oddly enough, it’s when you’re feeling bad or stressed out that you need happiness the most. Yes, you can become happier. As I explain in this article, happiness is determined by three factors: your genes, your external circumstances (income, house, car), and your thoughts and actions. While you can’t change your genes, you can change your external circumstances and you can change your thoughts and actions. Happiness isn’t something you’re born with. It isn’t something you have or don’t have. It’s something you create for yourself—The Happiness Advantage and other Positive Psychology books show you how to do it. Let’s discuss some strategies for becoming lastingly happier now. If you’re not meditating yet, you’re missing out. Meditation improves everything from happiness to stress, immune function, concentration, emotional control, relationships, productivity, and so on. As I’ve said many times before, it’s the number one best use of our time if we’re interested in creating happiness and becoming the best version of ourselves. If you’re willing to give it a go, check out our beginner’s guide. And don’t worry, you don’t have to spend years meditating for hours every day. As I mention in the beginner’s guide, studies show people are getting benefits from as little as five minutes a day. The same thing I just said about meditation can be said about exercise: If you’re not doing it regularly, you’re missing out. Achor mentions a study showing that exercise is more effective in beating depression than antidepressants. I first encountered that study when I read John Ratey’s book Spark. Ratey is a leading researcher on the effects of physical exercise on the brain. In his book, he shows how exercise is beneficial for everything from concentration to anxiety and depression, happiness, stress resiliency, learning, aging, addiction and so on. The good news is you don’t need to become a gym rat or take up long-distance running. As Achor says: walk, bike, run, play, stretch, jump rope, pogo stick—it doesn’t matter, as long as you get moving. In fact, engaging in an activity you enjoy might be the better idea for long-term sustainability. As Michelle Segar explains in No Sweat, we are more likely to keep up an exercise regimen if it’s something that makes us feel good. Watching the news is a great way to prime yourself for misery, anxiety, depression, and a negative worldview. Turn off alerts. There’s no reason for having mainstream news alerts turned on, period. They distract you. They kill your mood. And that’s about it. Delete news apps on your phone. Instead of reading the news when you’re bored, why not read something useful? Download Pocket or Instapaper, save some of our articles, and read those instead. I’ve written a full article on the science of money and happiness. Buy experiences, not goods. As Achor explains here, spending money on experiences makes you happier than spending it on material goods like shoes, watches, or televisions. Buy many small pleasures instead of a few big ones. Rather than saving for a new car, spend your money on a piece of clothing you like or treat yourself to a latte macchiato at your favorite coffee shop. Spend money on others, not yourself. Studies show that spending money on other people—so-called prosocial spending—makes you happier than spending it on yourself. Buy now, consume later. Book your holidays months in advance. Buy yourself some treat, but only eat it after your workout. Delaying consumption creates anticipation, a proven happiness booster. Spend money to buy time. Buying time allows you to replace misery-inducing activities (e.g., cleaning the house) with happiness-boosting ones (e.g., going to a concert). In general, spend your money on happiness-boosting activities. Get a personal trainer, join a meditation class, or book a trip to Disneyland with your family. As you see, money—if spent wisely—can be a huge asset on your journey to more happiness and success. The How of Happiness by Sonja L. This is, hands down, the most complete book on the science of happiness out there. The Happiness Track by Emma Seppälä. 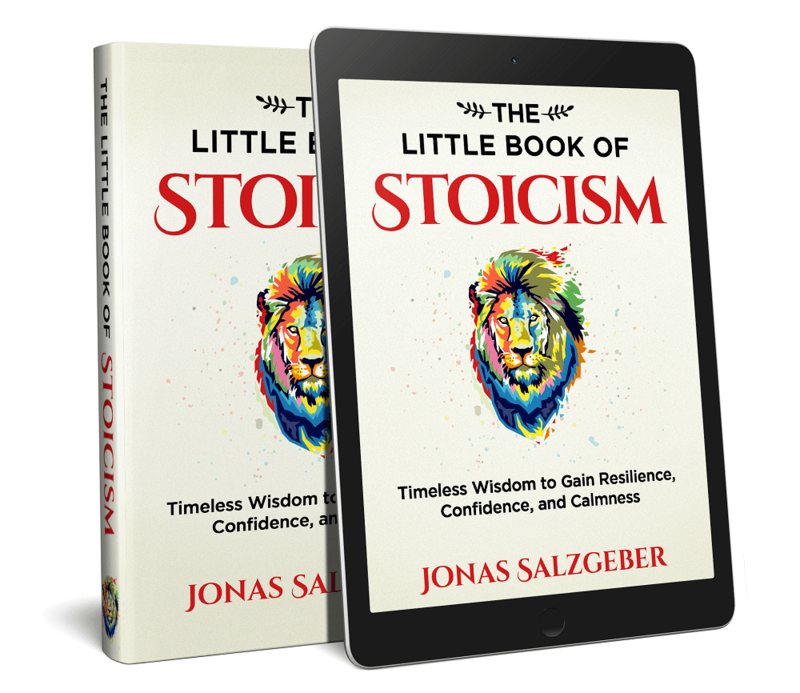 With a very similar premise to The Happiness Advantage, this one’s all about taking the happiness track towards success (rather than the other way around). Authentic Happiness by Martin Seligman. This is another classic Positive Psychology book about the science of creating a happier and more fulfilling life. The Happy Life Formula by Nils Salzgeber. This is my own book on the science of happiness, explaining how happiness can help us become not only happier, but also healthier and more successful.